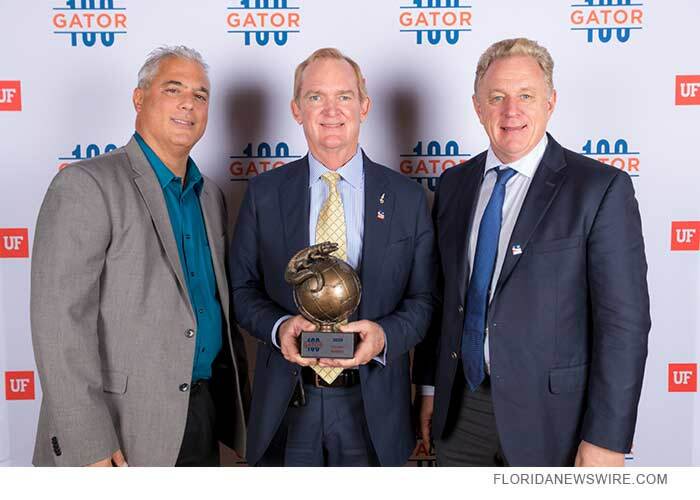 POMPANO BEACH, Fla /Florida Newswire/ — Current Builders was recently named to the University of Florida’s 2019 Gator100 during a ceremony on February 22, 2019 at UF’s J. Wayne Reitz Union Grand Ballroom. Celebrating 47 years of success, Current Builders is consistently ranked for construction volume in the state of Florida and the Southeast United States. From senior living to student housing, village halls and community centers, Current Builders’ résumé is comprehensive, with 85% of its projects commissioned by existing clients. Current Builders’ team is comprised of many UF alumni including CEO Chip Reid, President Michael Taylor, and many other team members. Founded the company and been active as a member of the most senior management team from Jan. 1, 2015, through Sept. 28, 2018. Current Builders is an award-winning general contractor, established in 1972 with average annual revenues of $200 million. Current Builders specializes in multi-family residential projects, healthcare facilities, office/warehouse buildings, commercial distribution facilities, parking garages, interior build-outs, interior and exterior renovations, all included as turnkey projects inclusive of the construction of the buildings and related site work.